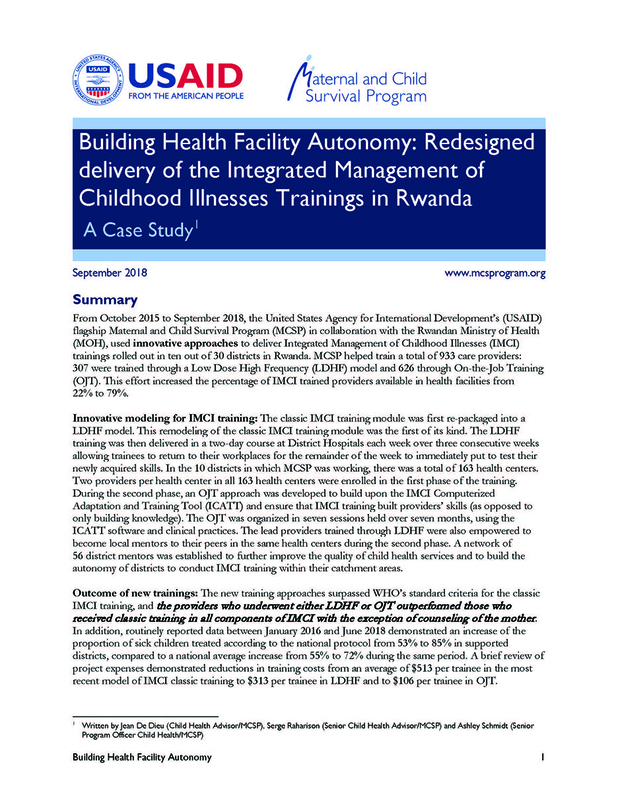 From October 2015 to September 2018, MCSP in collaboration with the Rwandan Ministry of Health (MOH), used innovative approaches to deliver Integrated Management of Childhood Illnesses (IMCI) trainings rolled out in ten out of 30 districts in Rwanda. MCSP helped train a total of 933 care providers: 307 were trained through a Low Dose High Frequency (LDHF) model and 626 through On-the-Job Training (OJT). 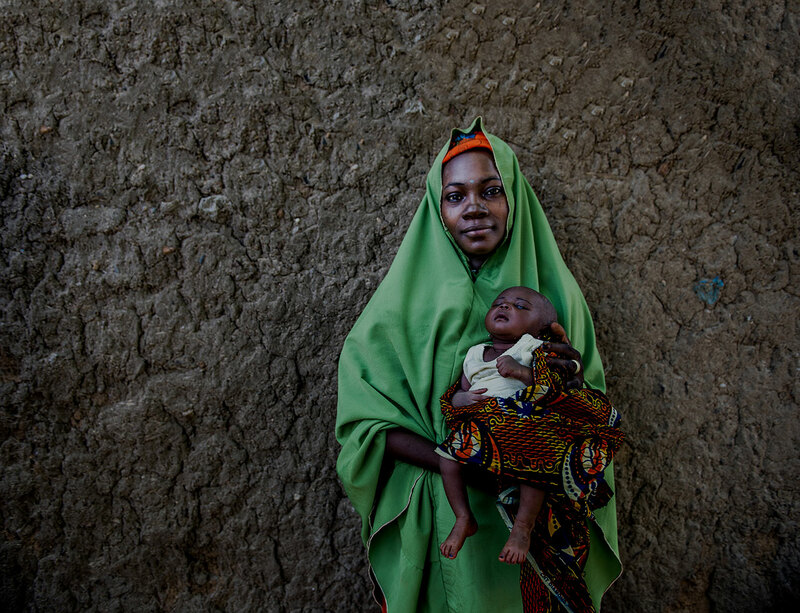 This effort increased the percentage of IMCI trained providers available in health facilities from 22% to 79%.